I first had the idea to do two matching bags on my first try at a Swoon Ethel. My grandmother’s name is Ethel and this pattern looked like a sweet, simple bag. I’m not a very strict person with myself as I sew. I fit the pieces where they would fit and ran with it. What that means is that these bags are identical on the outside, but not so much on the inside. 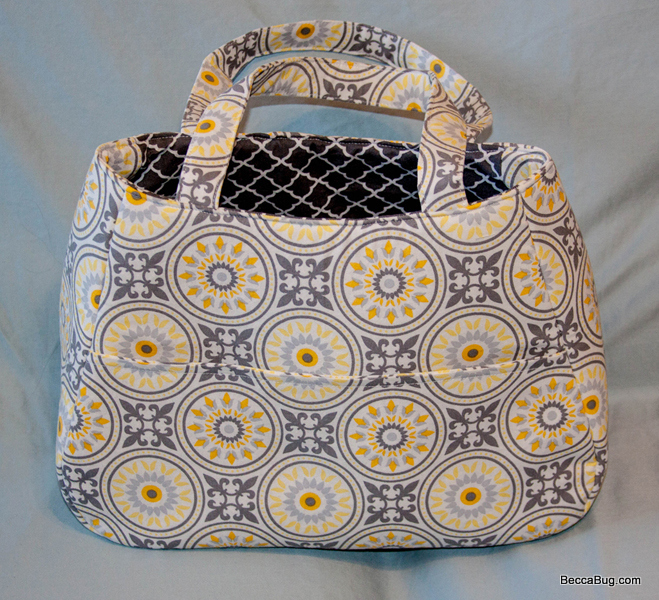 The first set of yellow and gray color scheme just flowed together. A sweet, simple bag indeed. I pictured them as a Mother Daughter set or BFF bags or even Sisters. Someone you wanted to stay connected with by using a bag every day that reminded you of them. 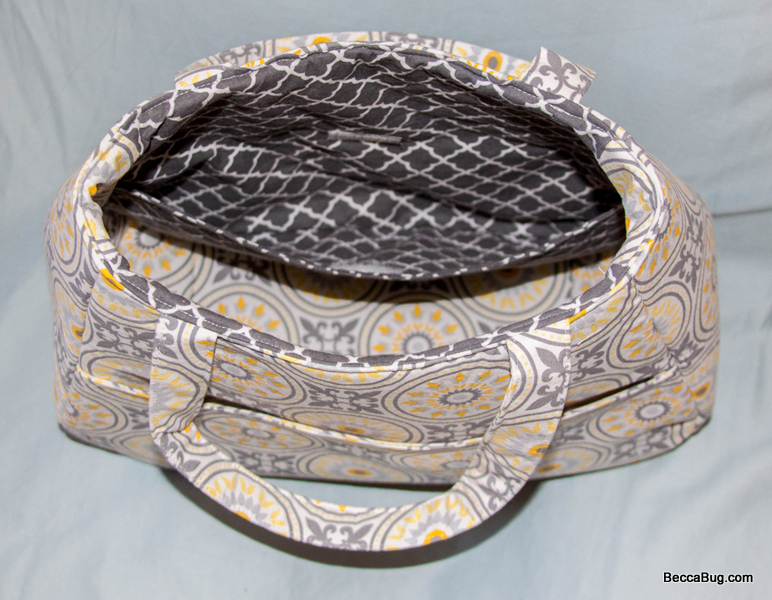 Each bag has a slip pocket on the outside and a small zippered pocket on the inside. One has another slip pocket on the inside with velcro and the other has a seam dividing its second slip pocket into two. These are for sale at my Etsy Shop BeccaBug Designs.